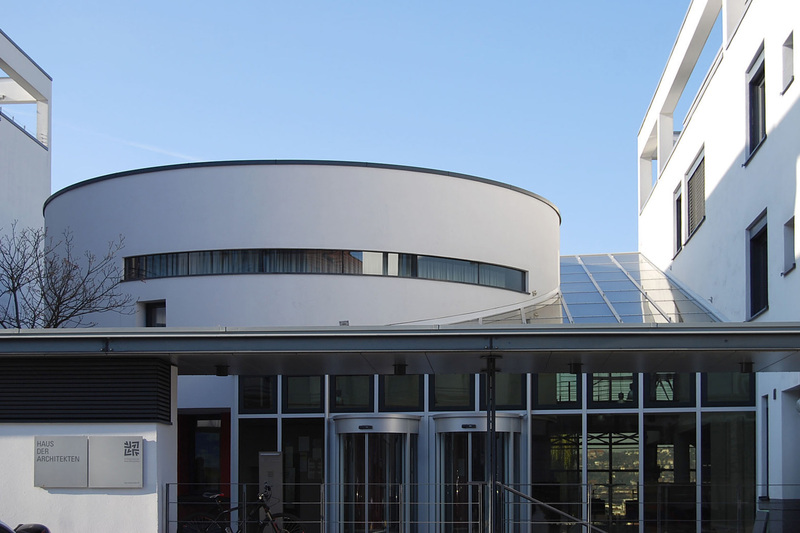 The foyer of the "Haus der Architekten" has a fully glazed roof. The exterior facades are oriented to the east, west and partially also to south-southeast. The foyer has several levels that are connected by large openings. Individual discs had become leaky and cloudy in the edge compound, and there was water damage. The glazing was energetically outdated. In the winter, the building cooled down; in the summer it was too hot. An internal glare protection is maintenance-intensive and disturbs the unobstructed view - and that at an exposed half-height position. Transsolar was commissioned to draw up proposals for the foyer and to take into consideration the summer overheating. Due to the high proportion of glass in the façade and the roof, as well as the multi-story connected air volume in the interior, the focus was on measures that would optimize comfort as much as possible. Transsolar performed thermal simulations for this under consideration of opening areas in the east facade on the ground floor and in the upper floor in the west facade. Moreover, the air movement resulting from different temperatures between the garden floor, ground floor, first floor and the surrounding area was considered. Various façade variants were simulated and the operating temperatures of the individual projectiles were determined in the form of temperature profiles, temperature statistics and temperature clouds and subsequently evaluated. As a result of the simulations of the foyer, electrochromic glass was determined to have the most potential. 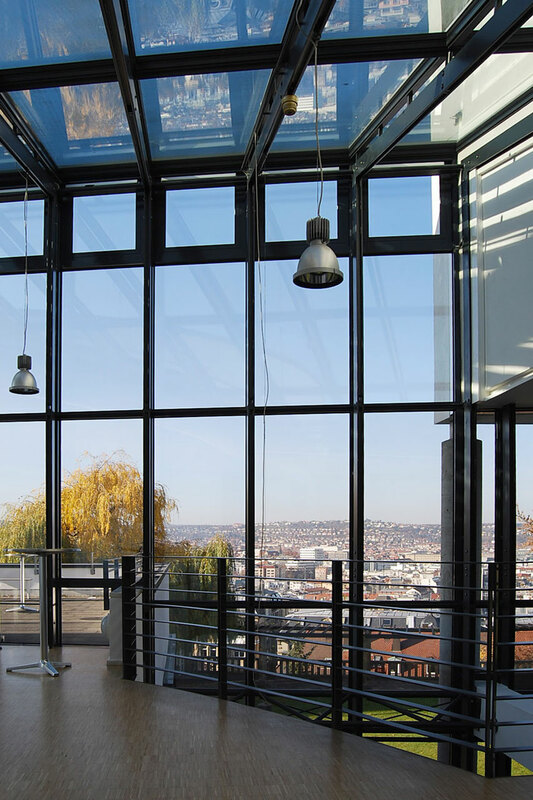 Electrochromic glazing allows adjustable shading at the touch of a button. Within a few minutes, the glass "glides" into the next switching state. If no sun shines, the glass stays as bright as possible. With increased intensity of the sunlight, the glass is tinted darker until it reaches a deep hue. 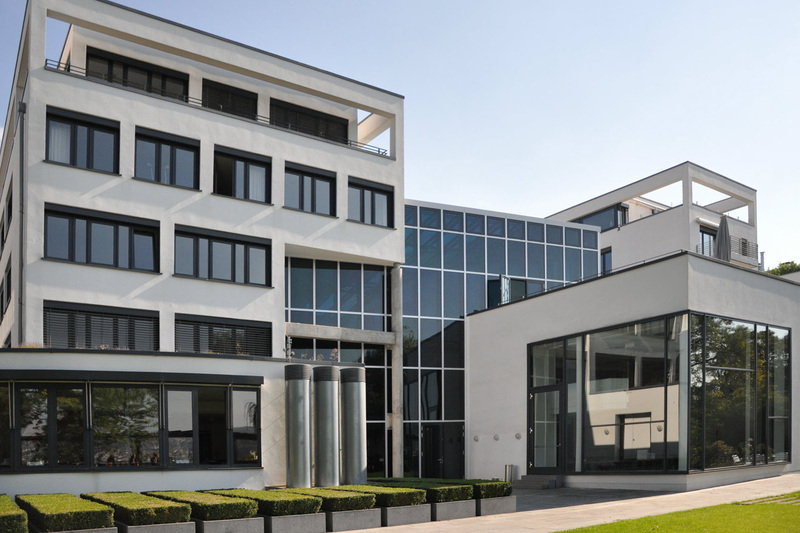 As a modern triple insulating glass, it now insulates the Haus der Architekten and minimizes heat losses.